Sunny Brae Avenue Elementary School is one of the recipients of a generous grant from GE Additive. Our school has been selected to receive a 3D printing package through the GE Additive Education Program. This includes a 3D printer, materials, and a curriculum by Polar 3D. Sunny Brae staff and students accepting the donation from Mr. William Munsch of Aerojet Rocketdyne. 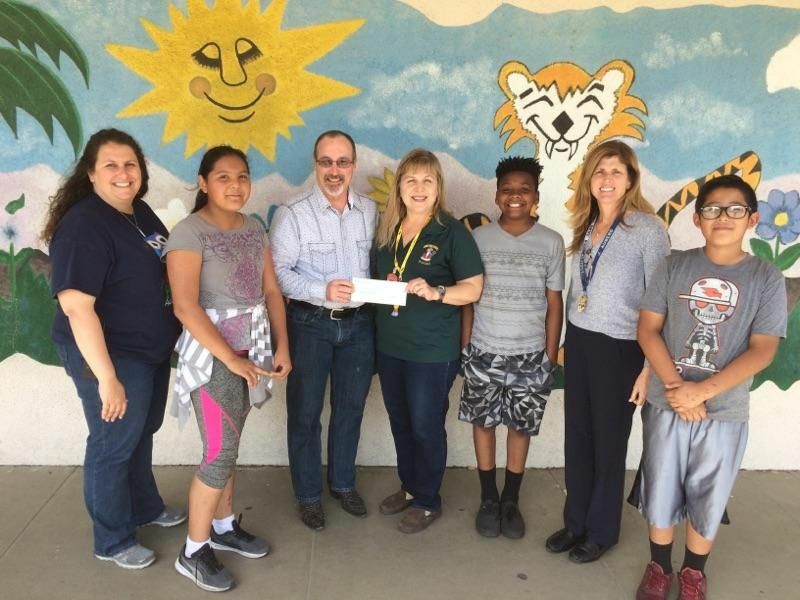 Thank you to our local scientists and engineers at Aerojet Rocketdyne for supporting Sunny Brae’s endeavors to become an Academy for Global Awareness. The donation from Aerojet Rocketdyne for $1,000 was presented to Sunny Brae on Friday, April 7, by Mr. William Munsch. The award will help to purchase Science projects, specifically robots. Local District Northwest is very grateful for the support from our community! Thanks to Ken Grace, CEO of Parallax for his company’s donation of robotic kits and other components!